If you know me, then you know I’m a little nutso when it comes to my teeth. Heck, Dane and I even have competitions to see who has whiter teeth. It’s safe to say we take our dental hygiene pretty seriously around here. So, it might shock you to know that I actually have really weak, porous teeth. I know, I know. It really disappoints me, too. As someone who loves her teeth and the dentist, I just want my teeth and mouth to love me back! 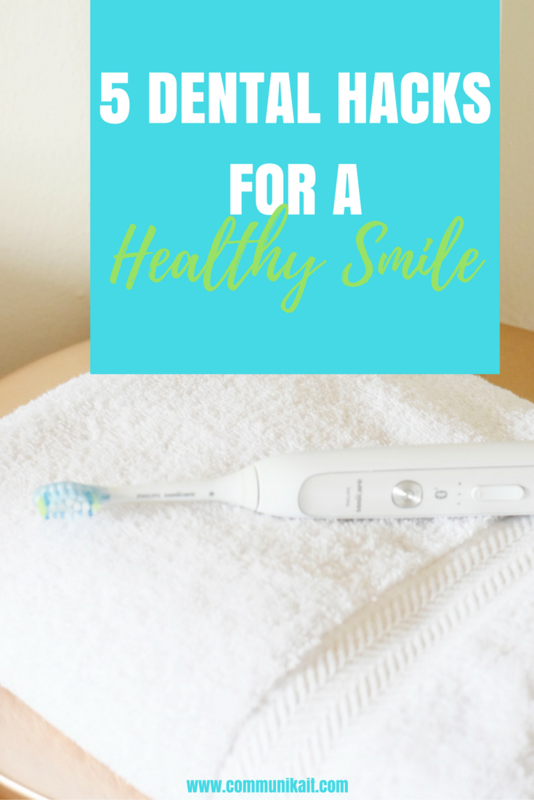 I’ve lived most of my life on a quest for the healthiest mouth around, so if you share my enthusiasm for dental hygiene, take a peek at my top five hacks for happy teeth. 1. An electronic toothbrush. If you’re still brushing with something that doesn’t hold a charge, you’re really missing out! I’ve used a Phillips Sonicare since college and the clean feeling from using an electronic toothbrush is just not comparable to a regular toothbrush. When I heard that the New Philips Sonicare FlexCare Platinum Connected Toothbrush came with an app to take the guesswork out of brushing, my interest was piqued. The app tells you just how good of a brusher you are, if you’ve missed any spots while brushing, if you’re applying too much pressure or using an excessive scrubbing motion. It also has adjustable settings for cleaning, whitening and deep cleaning! But, that’s not all. 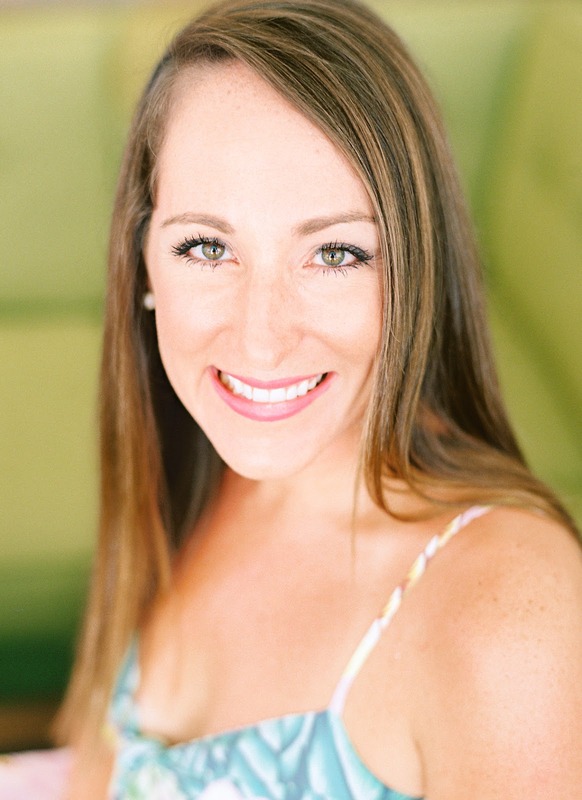 The app allows you to set your own dental goals (whiter teeth, healthier gums, etc.) and focus on the trouble spots in your mouth that you might not be reaching. You know where I’m talking about — the back corners of your gum line and molars. 3. Waterpik. I get it, some of you have had dental work that leaves you unable to floss certain, if not all, areas of your mouth. There’s also people who just refuse string floss. Well, no excuses here, my floss-averse friends — you need a waterpik flosser. This type of powerful water flosser removes dirt and decay through water irrigation. I’ll be truthful — Dane introduced me to the product and I haven’t looked back. Like traditional flossing, I recommend using it prior to brushing to increase effectiveness. The freshness you feel after using a waterpik is incredible; just trust me on this one. 4. Water. This one should not shock anyone reading! Your body is made up of 60% water, so there’s got to be some added benefit when it comes to oral wellness — and there is. Water with fluoride is a fantastic way to naturally prevent cavities, it keeps your mouth clean and it’s also free of sugar (and calories) like many other drinks that can decompose the enamel on the outside of your teeth. 5. Tongue Scraper. Now, I know what you’re thinking — ew, what the heck?! That was my initial reaction too, but hear me out on this one. Using a tongue scraper (it does exactly what it sounds like–scrapes your tongue) helps to prevent bad breath, removes bacteria that’s just hanging out in your mouth (gross) and removes toxins that may be hindering digestion. Give it a try, I promise. If it’s not for you, it’s not for you, but I’ve definitely noticed a difference! Now tell me, what are your tried and true methods for a healthy smile?